Aftercare In Recovery: Why Is It So Important, Following Rehab? When you think of drug or alcohol addiction as a disease, it is easier to understand the need for aftercare following rehab. Imagine suffering from a debilitating physical disease or medical condition. It is ludicrous to think that someone recovering from being impaired physically and/or psychologically could just waltz out of the doctor’s office and prance down the street. Of course not! Usually there are various forms of intervention laid out as an aftercare plan for the patient, such as recreational therapy, physical therapy, or occupational therapy. These post-operative supportive measures slowly guide the patient back to full functioning and strength as they recuperate. When applying this concept to addiction recovery it is easy to see the value of aftercare interventions following completion of a residential rehab program. The person in early recovery may feel fantastic, full of optimism and ready to reclaim their lives, only to encounter old triggers when returning to their regular life. Recovery tools, such as coping skills and stress management, take time to incorporate into daily life. People do not emerge from rehab with these new habits yet formed, leaving them vulnerable to relapse. The reality of relapse is something to take seriously. In an article published in Current Psychiatry Reports entitled New Findings on Biological Factors Predicting Addiction Relapse Vulnerability, author Rajita Sinha sites relapse rates of 65%-70% within 90 days following rehab. If there are effective measures to take to protect against relapse after rehab, why not put them in place as one of the treatment components? What is Aftercare in Recovery? Consider addiction treatment and recovery as an ongoing continuum of care. Starting with detox and withdrawal, followed by therapy in a residential treatment program, is only the beginning of the therapeutic process. Aftercare in addiction recovery involves various interventions that can help to solidify and support recovery, in the first year or two especially. By engaging in activities that act as a reinforcement to sobriety, the chances of maintaining a sustained recovery are greatly increased. Individuals in early recovery will encounter speed bumps that can be emotionally overwhelming, which may lead them to reach for the substance they had worked so hard to overcome. Aftercare options provide a safety net where the individual will receive peer and professional support to help navigate these stressors. There are a variety of aftercare activities or resources that can be considered while making the recovery plan best suited to each client’s individual needs. Science has not yet fully uncovered the root causes for relapse. Why is it that a third of individuals in recovery do not relapse at all, where the majority does? Trying to grasp the biological factors, genetic components, and environmental stressors that can result in addiction relapse is still an elusive task. While relapse does not spell the end of recovery, multiple or serial relapses can erode self-confidence, induce shame and guilt, and eventually undermine recovery. No matter how confident a person is when completing a rehab program, it is wise to remember that it is much easier to maintain sobriety in a structured, controlled rehab environment than out in regular life. Aftercare services can help the newly recovering individual stick to the course, even in the face of stressors or triggers, and reach important recovery goals. There is no question that returning to a home environment that is unsupportive or hostile towards your recovery is a recipe for relapse. If the home setting involves individuals who openly use drugs and alcohol or where family dysfunction creates excessive stress, it is not conducive to a lasting recovery. A sober living environment offers a supportive home setting that is free of substances, allowing the person fresh out of residential treatment to practice using recovery tools and stabilizing before returning to home life. Regularly scheduled talk therapy and/or group therapy sessions provides a consistent source of ongoing support in recovery. After an inpatient rehab program where constant psychological support was available, the individual is sure to hit some snags as they transition back to community, family, and work. Having someone available to talk things over with, or from whom to learn more targeted coping skills, can be an essential tool in the first year or two of recovery. Peer support is a significant element in a successful aftercare strategy. The most recognized recovery groups are 12-step programs such as A.A. or N.A. These groups are widely available across the country and free of cost. If the 12-step philosophy is not aligned with personal beliefs, there are other non 12-step groups available such as SMART Recovery, Women for Sobriety, Secular Organizations for Sobriety (S.O.S. ), and LifeRing Secular Recovery. In many cases, family issues may be factors that contributed to the use of drugs or alcohol and must be examined and treated if there is to be lasting sobriety. 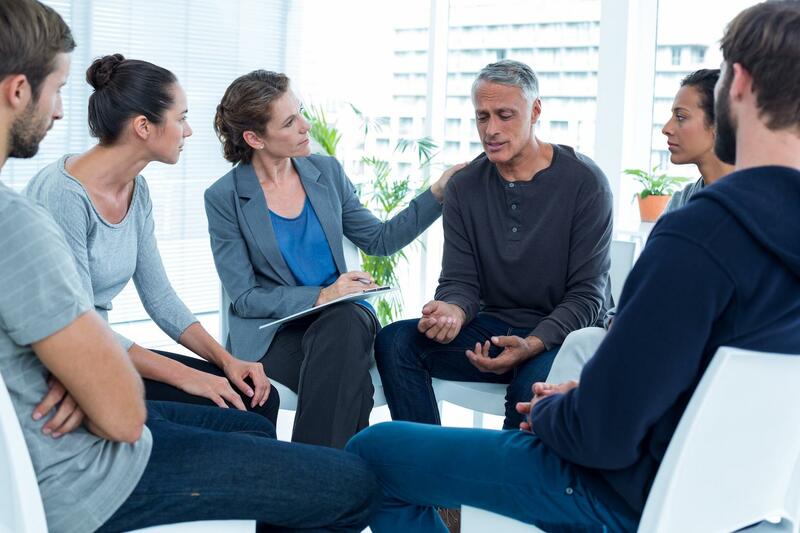 Once dysfunctional relating is identified through family therapy sessions, the therapist can offer specific strategies for improving communication skills, anger management, and conflict resolution. Family counseling also helps families rebuild trust and overcome anger and resentment caused by the addiction. A significant number of people struggle with both addiction and a co-occurring mental health disorder, called a dual diagnosis. This may have been identified and somewhat treated during rehab, but follow up care with a psychiatrist who can manage medications for a coexisting mood disorder, as well as provide psychotherapy, will be beneficial to the success of recovery. Gaspar Melikyan is the co-founder of Quest 2 Recovery located in Lancaster, California. At Quest 2 Recovery, we have a team of competent professionals whose expertise, experience, and dedication are guaranteed to satisfy the needs of all of our clients. Our team of doctors, psychotherapists, nurses, and other healthcare professionals have unparalleled expertise in treating drug and alcohol addiction, as well as psychological disorders that commonly accompany substance abuse. They are responsible for creating and implementing an individual treatment plan that is designed to address and treat clients’ unique psychological and physical needs.